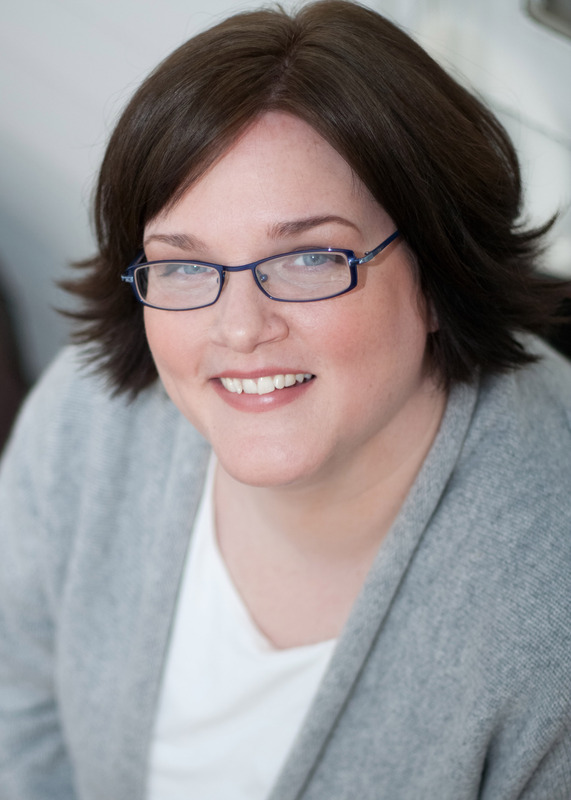 If you don’t read The Debutante Ball blog or keep up with the publishing world, you may not have heard of Lori Rader-Day. But in just a few months, that’s all going to change–and it’s an honor to have her here before everyone else begins clamoring. 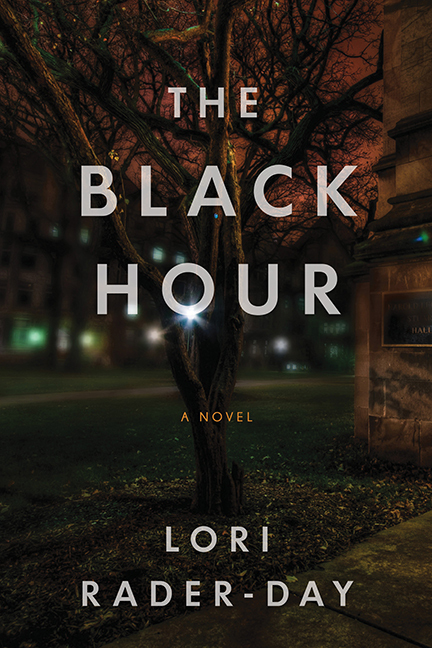 Lori’s debut novel, a mystery from Seventh Street Books, is set to be released July 8. But today, she’s offering a head start to one lucky reader. After the interview, leave a comment for a chance to win an advanced reading copy of THE BLACK HOUR. 1. Your debut novel, The Black Hour, will be released in just a few months. I know this is a mystery, but what else can you tell us about the story? The Black Hour is the story of a university professor, Amelia Emmet, who returns to teaching after being shot by a student she didn’t know, had never met. The story starts on that first day back. She’s been gone ten months, and the rumor mill’s been churning her over in her absence. The student shooter killed himself, so there’s no one to ask: Why her? But then she gets some help sleuthing from a far too enthusiastic grad student, and the real trouble gets started. 2. What do think people will love most about the book? What do you love about it? I had a lot of fun writing two narrators because Amelia, the professor, and Nathaniel, the student, aren’t really working together at all. So the reader gets to see how they’re actually getting everything wrong. And even though Amelia starts out a little difficult—she got shot, so she’s hair-trigger angry at life—I think people will like her and Nathaniel and the people who surround them. 3. Is mystery your genre of choice, or do you read/write about whatever strikes your fancy? Where do your ideas come from? The mystery genre chose me. Back when I was a kid and had read all the kid’s books my library had to offer, I went upstairs to the grown-up books. I was too scared to go past the desk, though, so I hung a right into the first doorway, and that’s where I met Agatha Christie and Mary Higgins Clark. Many (many) years later I was writing a novel with a crime in it, and I got the chance to share my work with a writer who assured me that what I was writing—as long as I solved the crime—was a mystery. I read lots of magazines, nonfiction books, and all manner of fiction. They all fuel my own ideas. In my experience, it’s not getting an idea that’s difficult. It’s getting the idea that will go the distance. If you spend two years writing a book, the idea has to be strong enough to bring you back to the page every day, every weekend, even vacations. Not every idea I have will stand up to that. 4. When it comes to being an author, especially with a smaller press, half the battle is getting the word out. I’m sure being a member of the Debutante Ball is a tremendous help. How else do you go about promoting your work? The Debutante Ball has been more than a help promoting the book. It’s also been such a great way to approach publication day. The five of us compare notes, share good news. And when one of us is scheduled for a freak out, we take our turns talking each other from the ledge. In addition to the Ball, I’m also signed up for long list of conferences this year and probably next. I tend to think of promoting my work less as a sales job and more as a chance to meet people and be myself. But that means I have to be out there, even when I’d much rather be watching “Castle” reruns. I also do social media, but not because it’s a promotional tactic. I just like it, and it’s an excellent procrastination tool. 5. So right now, are you just waiting for July to roll around for The Black Hour’s release, are you still working on getting all those details finalized, or have you moved on to something else? The “just waiting” part of your question made me laugh. The thing about going from unpublished to published is that it’s not just about one book. By the time this book is out in July, I’ll have written an entirely new novel draft. Not on deadline; I had that freedom, at least, but if you’re after a long career, you don’t get much time to pause and congratulate yourself. It’s always about what’s next. And what’s next for me is a mystery about a woman working below her potential whose longtime rival and estranged best friend gets murdered. I’m thinking of it as a Nickel and Dimed (by Barbara Ehrenreich) murder mystery. 6. Thousands of people dream about going from polished manuscript to agented writer to debut author with a publishing house behind them. Can you tell us a little about the process that worked for you, and what you’ve learned along the way? The first thing I learned was the value of that polished manuscript. I won a pretty high-profile contest at one point that sent some agents my way, but the draft of the manuscript I had wasn’t ready, and I knew it. Later, when I was working The Black Hour, I didn’t rush the process. I’m pretty impatient with myself, so this was major. On top of taking extra care with my manuscript, I also took extra time to research agents and get myself set up for the long haul searching for the right one. The most valuable thing I figured out was the value of taking that time, of pacing the query process—because you can learn a lot from each step of the process if you give yourself the chance. One of the best tricks I picked up was that writing the query before the book helps me figure out what the story is missing long before I’ve written it. That’s about as close to outlining as I can stand to get at the moment. I’m an Olympic-level pantser. 7. There are many rough patches on the road to publication. How did you get through the bad days? There were so many. I had a very rough patch of about five years, during which I wrote nothing. Not a single word. I got through those days the way any non-writer does, doing everything else. I broke out of that stretch by finally setting aside a time to write, just to see if it still felt like something I wanted to do. When it did, I focused on finding more time and taking the whole enterprise seriously. I did an MFA program. When I was writing The Black Hour, though, I was just out of my program, working a full-time job for the first time in three years. I had to write in the time I had, and suddenly the writing, not the dream of publishing, was the thing that got me through. I still have bad days, but I always want to go back and see what my characters need from me. I like getting them into bad spots, but then I really shouldn’t leave them hanging. The only perfect piece of advice is to sit down and write, and to keep writing. And to read, of course. I’ll harp on the time issue again. Take the time to get the book right before you rush into the rest of it. The first book might be the last chance you get to take your time. And if you’re getting rejections, yes, keep trying—but also keep working. In addition to her role at The Debutante Ball, Lori blogs on website, loriraderday.com, and is active on Facebook, Twitter (@LoriRaderDay), and Goodreads. Comment below to win an advanced print copy of THE BLACK HOUR (U.S. addresses only, please). The giveaway will remain open until 11:59 p.m. Thursday, March 6, at which point a winner will be chosen at random. Best of luck to you all! For next week’s interview, I am thrilled to be hosting Jason Mott, author of THE RETURNED. Not only is his debut novel a bestseller, but it’s a soon-to-be ABC hit! The adapted TV series, “Resurrection,” premieres this Sunday, March 9, after “Once Upon a Time.” Three days later on Wednesday, Jason stops by Skipping Midnight to talk about his journey and offer up five autographed copies of the book that started it all. You won’t want to miss it! Wow, reading the sypnosis alone gives me chills. This sounds like a really interesting read! Thank you for the opportunity to win this! Thanks, Irene! And thanks for commenting! Lori, congratulations on your debut book. I can relate to finding Agatha Christie–I still know the entire macabre poem from “And Then There Were None” by heart…and I recently discovered Allan Bradley’s Flavia De Luce books. I cannot wait to read your book–the concept of two narrators who are not quite in synch…like a tennis match…like “Dash and Lily’s Book of Dares”, only on a much spookier, much more mature level. “The Black Hour” is now on my to-be-read list. Have fun promoting your writing. Thanks, Cathy! I LOVE Flavia de Luce. Speaking of a protagonist who sometimes gets thing wrong, and hilariously. Thanks for commenting! Wow, I have this book on my to read list on Goodreads and found out about this giveaway!~ I would love to win because I’m interested in this book. Congrats on the debut. I can’t wait to get to this book. Thanks, Sherry! And thanks for commenting! Good luck in the drawing. Great interview! This book sounds very interesting! Thanks, Whitney! Good luck in the drawing! Really looking forward to reading THE BLACK HOUR. Sounds terrific, Lori, and I enjoyed learning more about you and your writing career here at Skipping Midnight. Great interview! Thanks, Mary! And thanks for commenting! Wow! Look forward to reading a book from an author I’ve never read. Thanks. Thanks, Rebecca! Good luck in the drawing! Great interview this book sounds perfect for me. Yay! Thanks for commenting, Rhonda! I feel the same way – the mystery genre definitely chose me too! It’s funny, isn’t it? Shouldn’t have been that hard to figure out, given my early love of Encyclopedia Brown! Even though I missed the deadline for the giveaway, I wanted to say I really enjoyed the interview with Lori Rader-Day, particularly her advice for new authors. I look forward to reading The Black Hour and Lori’s other work. Great interview, as always.